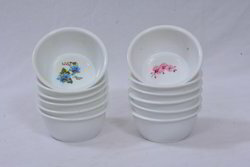 Providing you the best range of soup bowl, rice bowl, bowl 350, 1500 plastic bowl, plastic bowl and printed square bowl with effective & timely delivery. 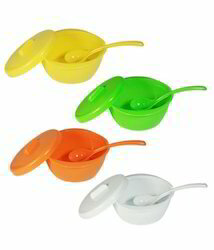 Backed by our highly skilled and experienced professionals, we are engaged in offering a wide range of Soup Bowl. Our offered range is manufactured using premium quality plastic which we sourced from a certified vendor base. We are highly appreciated in the domestic market for our exquisite collection of Bowl 350. 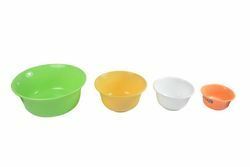 These products are widely appreciated among clients for their durability and precise construction in making 3 & 6 PCS sets of bowls. 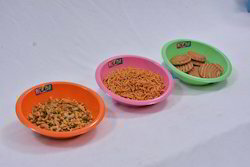 Keeping in sync with the latest market norms and policies, we are indulged in providing a high-quality range of 1500 Plastic Bowl. 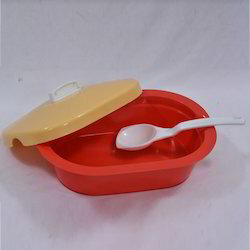 Backed by immense industry experience, we are engaged in offering an optimum grade Plastic Bowl of the superior quality standard. 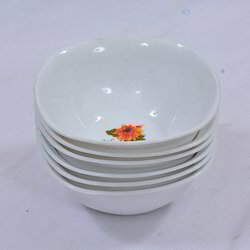 We offer wide range of Printed Square Bowl. 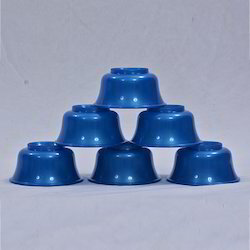 We offer wide range of Bowl 2000 With Lid. We offer wide range of Printed Round Bowl. Our multifaceted organization is engaged in offering a wide assortment of Babika Bowl. The provided bowl are manufactured keeping in mind the requirements of customers by utilizing the high-grade raw material.